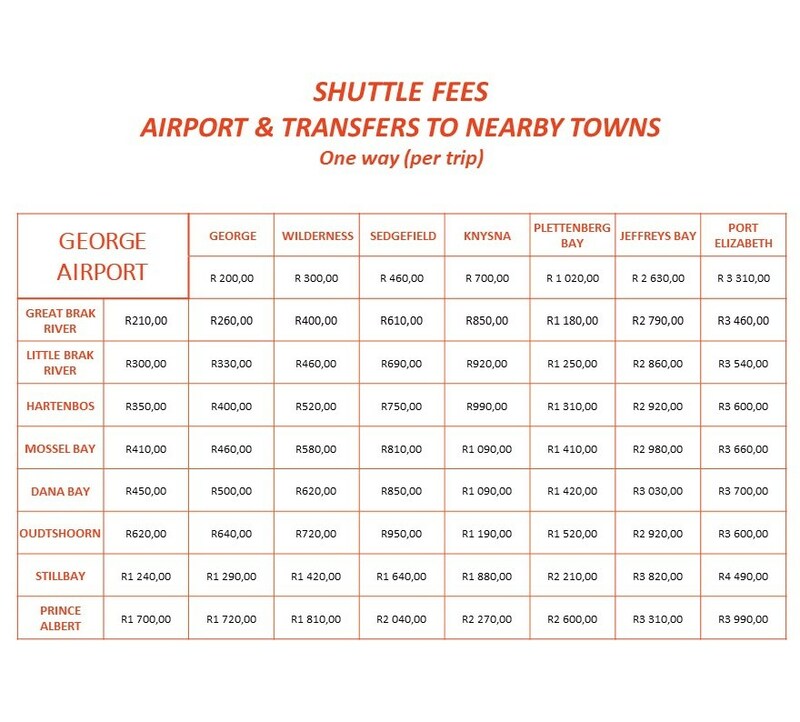 Travel-ibiki’s Shuttle Service is there to provide you with safe, reliable and affordable transport to and from George Airport, as well as transfers between nearby Garden Route towns. The vehicle is safe and complies with all road safety. We have passenger liability insurance coverage. All rates are per vehicle and not per person. For transfers before 6:00am and after 20:00pm – an additional R100 will be charged per transfer.